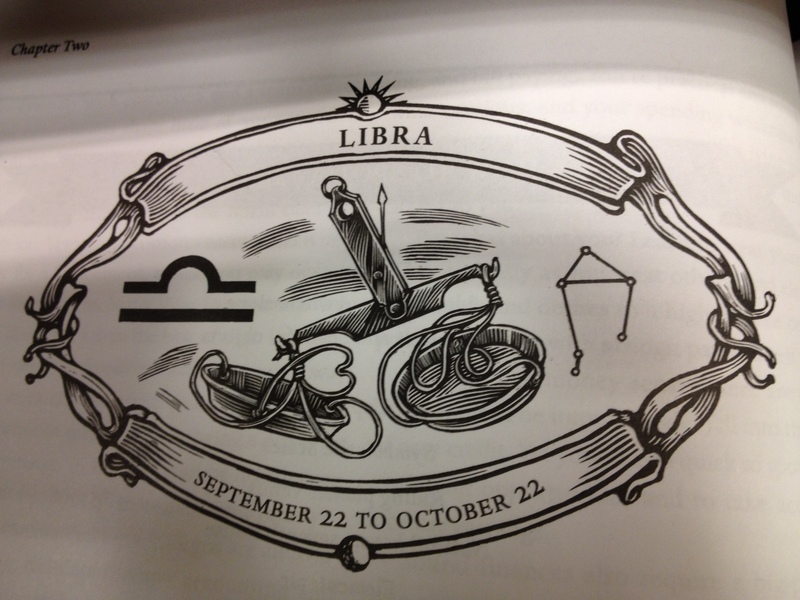 Your Libra workmates never met a decision they didn’t want to ponder (and assess, and mull over, and…). The next “Bodacious Business Horoscopes” entry features that lighter-than-air seeker of balance and partnership, Libra the Scales. The zodiac system’s most diligent diplomat tends to tip both ends of the scales in pursuit of fairness (from September 22 or 23 to October 22). Although Librans may seem impetuous “doers,” they are deep thinkers who take their time assessing a work situation before plunging into action mode. More than likely, the Librans who work with you or for you are in the marketing or corporate communications department. They possess a knack for making presentations and being gracious when representing your organization to the outside world. Libra Is the Zodiac’s Cardinal Air Sign–Here’s What It Means for Your Business: As mentioned way back in (crabby) Cancer’s Bodacious Business Horoscope, cardinal signs are the domineering pulse points of the astrological world. No One Is More Astrologically Calm, Cool, and Collect Than a Libra: Outwardly, the Librans in your office appear quite calm and even-keeled, but the key to understanding how they process information is their symbol, the scales. When pursuing perfection, a typical Libra realizes balance is achieved by the back-and-forth momentum of lively discussion with peers and higher-ups. The perfect metaphor for Libra’s “cool on the outside, simmering with opinions on the inside” duality is Lily Tomlin’s sly performance as Violet Newstead in the film 9 to 5. In particular, I’m referencing the scene in which she pretends to be a doctor. Violet rolls what she assumes to be the corpse of her dastardly sexist boss, Mr. Hart, out of the hospital and into the trunk of her car. You need to watch the movie (alas, I couldn’t isolate the specific clip) to appreciate this comparison! When cobbling together a project team, including at least one Libra in the group’s composition will ensure everyone’s opinion is solicited before decisions are made. Do keep in mind that Libra works best in a harmonious environment. These peeps require mental stimulation that is classical, refined, and purposeful. Best gifts for your Libra amigos: a jumbo business-card organizer, a poster with quotes from Buddha or Confucius, the best version of the Evernote app money can buy, a CD of your local philharmonic’s greatest hits, and a membership to the nearest art museum. Libras Are Team-Oriented Workers Who Dread Being Alone: In general, employees and leaders whose sun sign falls into Libra’s house are enforcers of diplomacy. You can count on a Libra to “have your back” when attempting to champion a company initiative for your employees’ or community’s well-being. Your Librans’ most positive traits: a sense of fairness, good negotiation skills, they don’t shy away from worthy causes, sincere, they communicate well, excellent mediators, clear opinions and strong beliefs (but can sometimes be overbearing about them). Whether related to you by blood or nondisclosure agreement, Libra plays fair and is eminently qualified to achieve the internal consensus you desire for important business decisions. Libran Employees and Executives Might Sulk and Display Inertia Whilst Attaining Their Almighty Balance: All zodiac signs have their negative traits, and Libra is no exception. Yes, the Librans who work with you or for you are probably the most fair-minded professionals you’ll ever know. Other less-than-stellar traits associated with Libra: fearful, indecisive, overbearing, narcissistic, and flirtatious (but not a bad thing if this behavior wins over a workplace naysayer or agitator!). Your thoughtful Librans aren’t deliberately trying to drive you mad when deftly tiptoeing toward their decisions. Leo Burnett, advertising executive, founder of the hallowed Leo Burnett Worldwide. Hurrah for Morris the Cat, the Pillsbury Doughboy, and the Jolly Green Giant! Collette Dinnigan, a fashion designer from South Africa who boldly creates lingerie for ladies who shop at Target! A Completely Speculative Business Interpretation of Libra’s Astral Assets: Here’s something you don’t see every day–a business interpretation of a zodiac sign’s ruling planet, lucky day, lucky numbers, and primary colors. Does Libra the Scales rule your birthdate? If so, did this profile trigger any head shakes for you regarding accuracy? What other interpretive traits would you add to this zodiac sign from a business perspective? For those of you with a birthday dwelling in another house, I will slice and dice your sun sign via (virtual) Ginsu knife in an upcoming blog post. Toward the end of October, I’ll aim my astrological laser beam at myself, for I am Scorpio the Scorpion. You can run now if it comforts you, but hold your own snide commentary until next month. You’ve been warned!